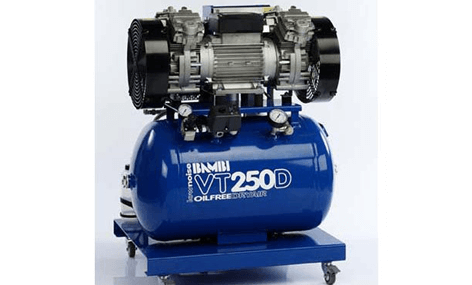 We are pleased to be an approved supplier of Bambi’s revolutionary VT range of oil free compressors. 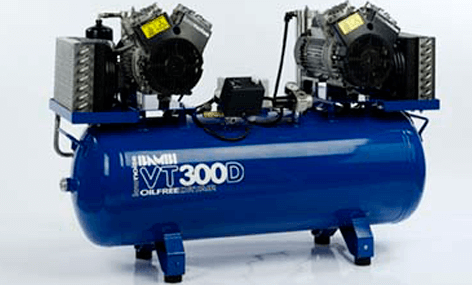 At the heart of the VT range is the all new Vee Twin pump unit with one of the lowest noise levels of any oil free compressor available, made possible by the very latest “tilting piston” technology. 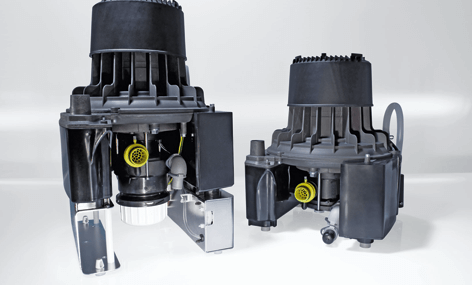 Packed with novel technical features, even the standard models without air dryers are fitted with a “soft start” solenoid valve. 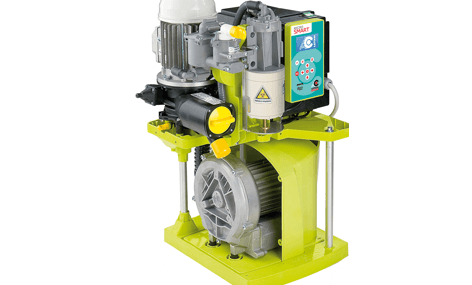 This discharges the air pressure in the pump whenever the power is disconnected, protecting the compressor from overload and extending the service life. 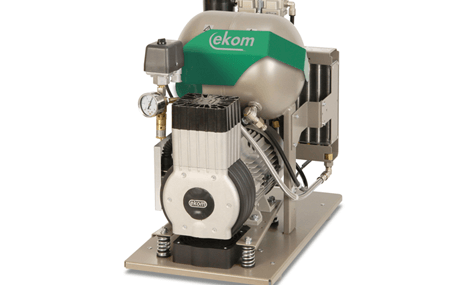 Anti-corrosion, internally coated air receivers are fitted across the range ensuring the air is contamination-free. 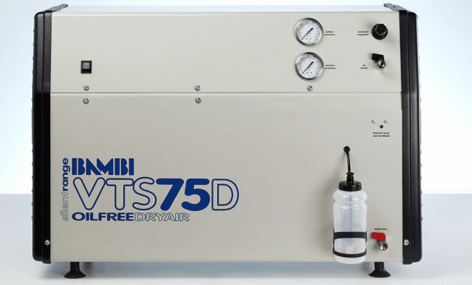 Every model is available with an innovative Air Dryer unit designed to guarantee “desert dry” air. The multi row, fan assisted after-cooler reduces the air temperature prior to entering the dryer. 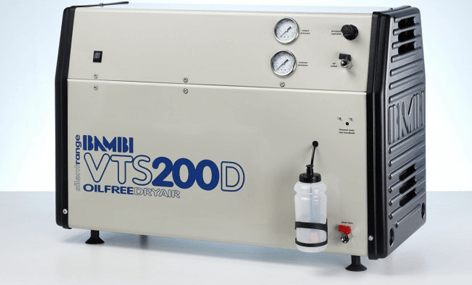 Dramatically reducing the air temperature enables the integral coalescing filter to collect and remove water droplets as small as 0.01 microns.